This weekend at the State Fair of Texas, Chevrolet unveiled two concept cars based on the 2014 Silverado pickup. Both concepts give Silverado customers the chance to see the incredible capabilities of the new Silverado, and this concept is set to haul volunteer firefighters to the firehouse or out on a call. The Volunteer Firefighter concept is based on the Silverado Double Cab equipped with the Z71 Off Road package. It was specially developed for the the service of grassroots first responders, with input from the National Volunteer Fire Council. 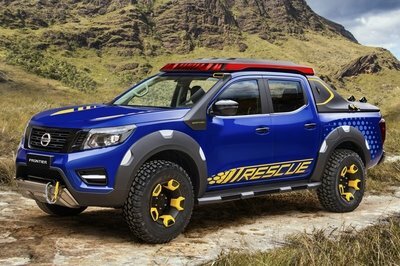 Along with its task-based paint scheme and special logos, the new Firefighter concept features lots of sirens and a full complement of rescue equipment. 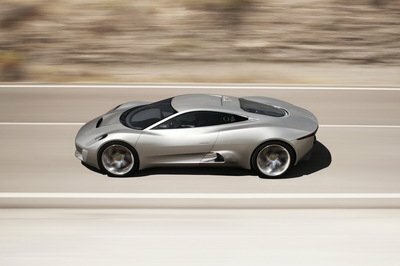 No details were offered on which engine Chevrolet fitted in this concept, but we believe it will be offered with the 5.3-liter, V-8 that delivers a total of 355 horsepower and 383 pound-feet of torque. Click past the jump to read more about the standard Chevrolet Silverado. The new-generation Silverado was unveiled right in time for the 2014 model year. 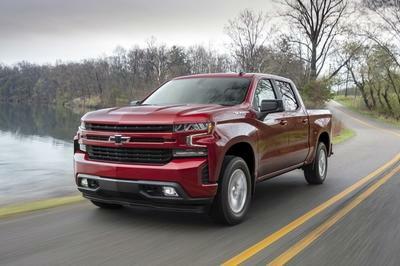 It received important updates to the exterior, interior and under the hood, changes that transformed it into the "strongest, smartest and most capable Silverado ever." The 2014 Silverado is offered with a choice of three new EcoTec3 engines: a 4.3 liter V-6, a 5.3 liter V-8 and a 6.2 liter V-8 engine, with the output level ranging from 285 to 420 horsepower. The 2014 Silverado is priced from $24,585. Chevrolet developed the Silverado Z71 Volunteer Firefighter concept truck, which honors the service of grassroots first responders, with input from the National Volunteer Fire Council. 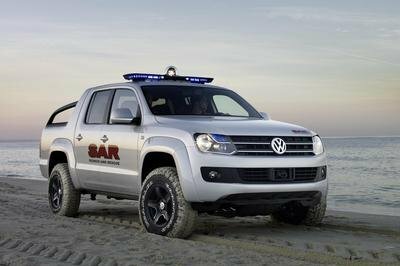 The concept vehicle features a full complement of rescue equipment incorporated on a new Silverado Double Cab equipped with the Z71 Off Road suspension. The sinister-looking Black Ops concept is based on the Silverado Crew Cab 4x4, building on its strength, performance and safety with features designed to turn the wasteland into an oasis, including custom-fabricated lower body armor and a lockable, bed-mounted Truck Vault storage unit. It holds a solar power pack, a pair of gas masks, gloves, military First Aid Kit, folding shovel and rope.